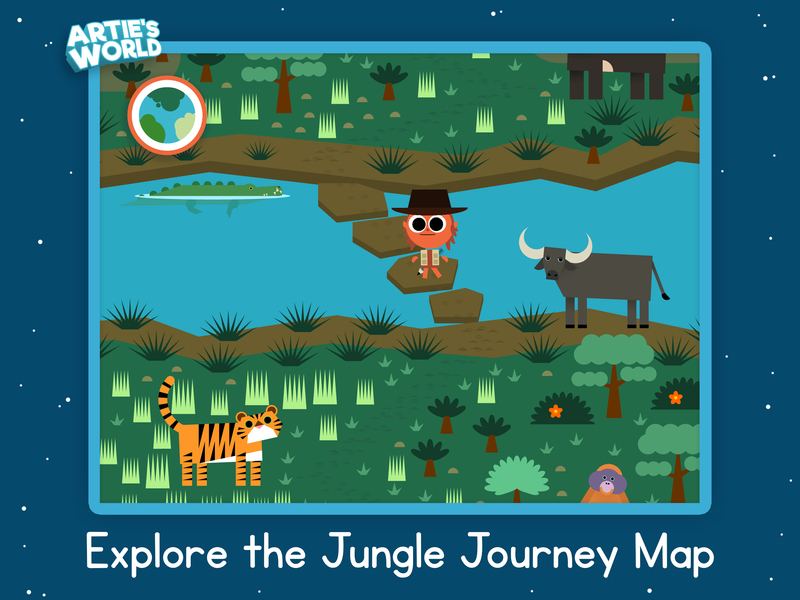 Alongside Farm Friends, the Jungle Journey is the latest dot-to-dot adventure for Artie. We were inspired by the rainforests, swamps, and mangroves of South East Asia. The climate here is vastly different from -50 degree Arctic winters. Firstly, the four seasons are separated into monsoon and inter-monsoon seasons. During the two monsoon seasons, the tropical storms can be both beautiful and frightening! However, all four seasons are hot and humid, and nowhere is this truer than in the rainforest regions. Rainforests are some of the most biodiverse habitats on the planet, and the animals living there are consequently very unique. Each rainforest will typically consist of a number of layers, starting with the forest floor. Here you’ll find lots of fungus varieties amongst the dead leaves that have fallen from the upper layers. In terms of animals, you’ll find larger species that cannot climb trees. Look for dark brown and green colours in their fur, which serve as camouflage for both prey and predator. Next you’ll find the understory, where most animals such as big cats, snakes, and birds live. The leaves on plants are large to ensure they can collect enough sunlight, filtering down from above. However, the final two layers tend to get the most sunlight. The canopy is the most biodiverse area of the rainforest for foliage and insects, because the trees are so close together that there’s barely any space between them. Finally, the uppermost layer is the emergent layer where the tallest trees pop out over the top of the canopy. 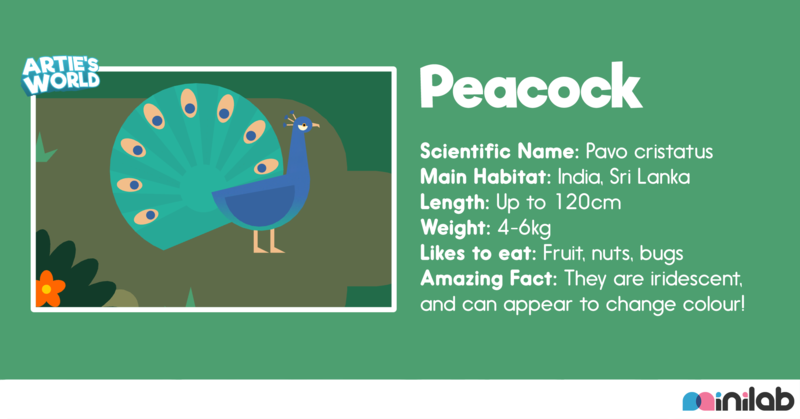 Once you’ve amazed the kids with some facts about the habitat, what about the animals themselves? Here is the full set of Jungle Journey cards for you to save and print at home. Why not turn them into flash cards, and test your child’s knowledge as you draw? 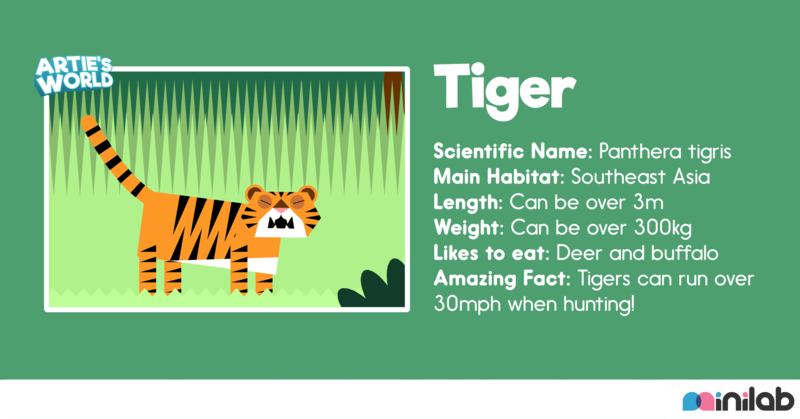 Their bright orange colour might stand out against green foliage, but a tiger’s stripes will keep it camouflaged. 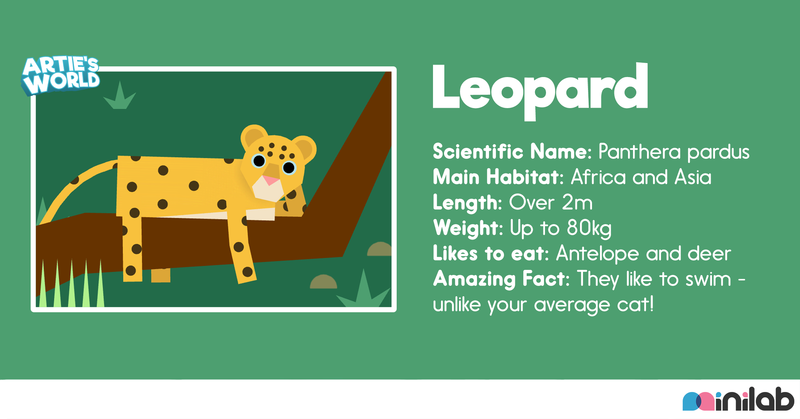 Leopards can haul anything they catch high up into a tree before they eat it, so nobody can steal it. 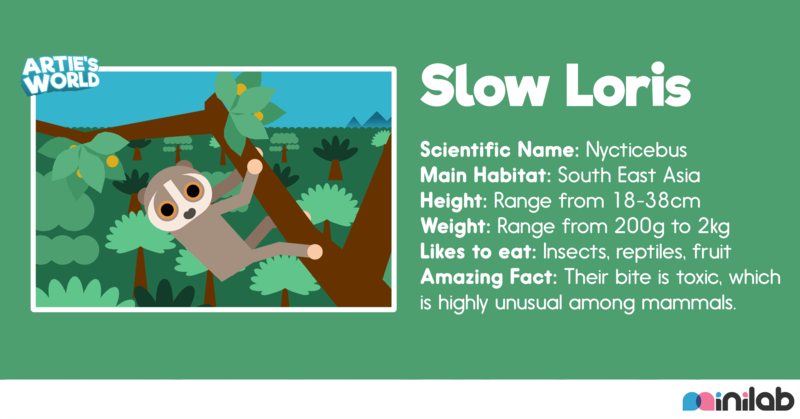 Slow lorises have huge eyes as they are nocturnal. Large lenses help their eyes to capture more light and see better in the dark. Male peacocks have a piercing call, and can spread their long feathers into a fan shape to attract attention and assert dominance. 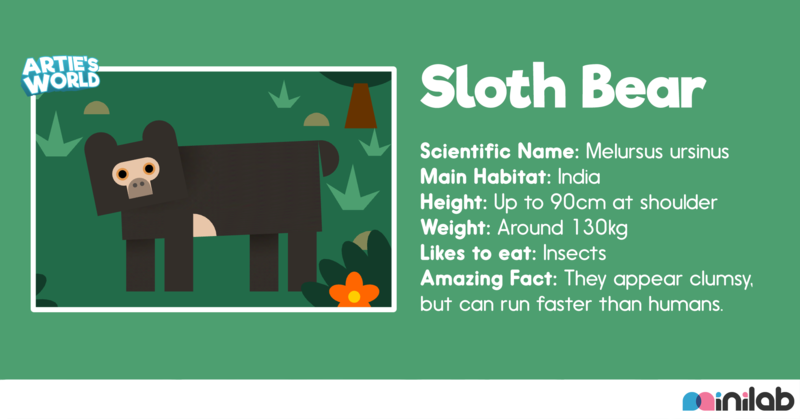 Because of their long claws, these bears were originally classified as sloths! 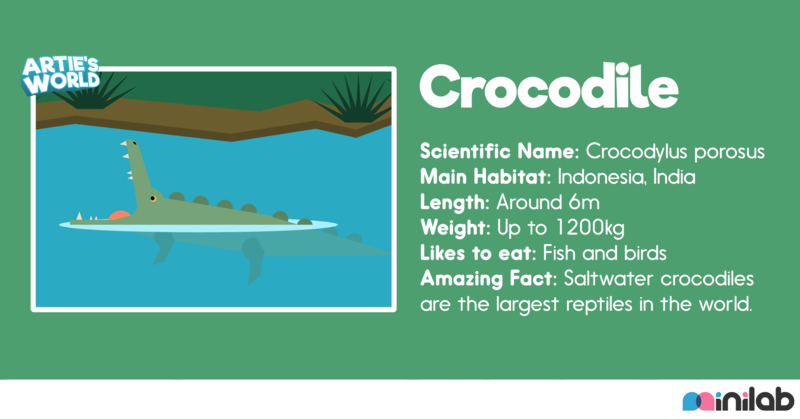 Although they look very similar, crocodiles and alligators are actually members of a complete different family of animals. 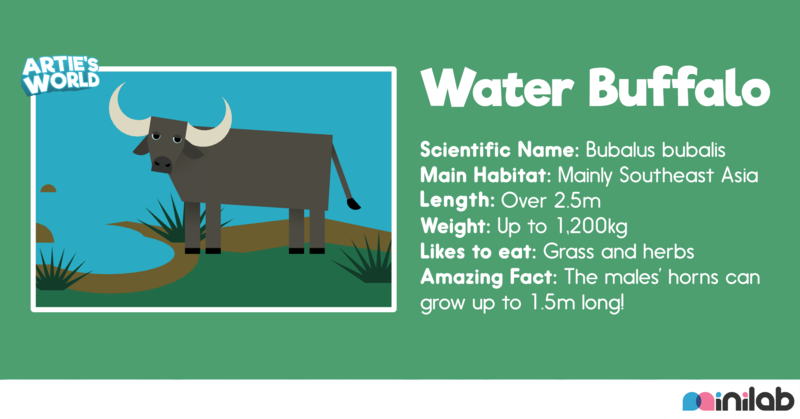 This animal is the largest of the ‘bovini’ family, which also includes yak and bison. 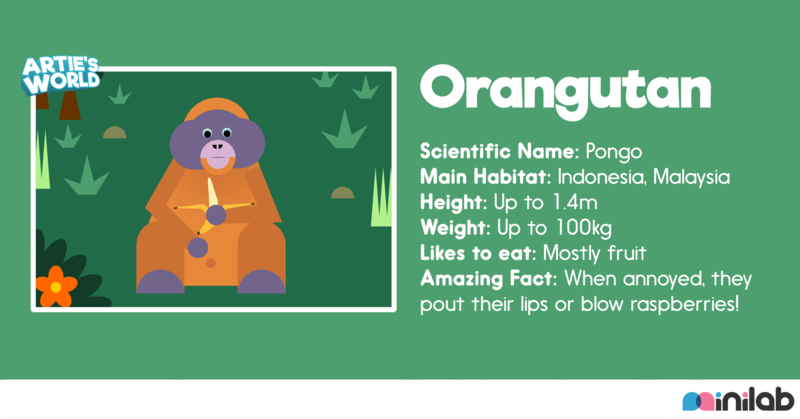 Orangutans may appear different to us humans, but 97% of our DNA is identical. They are one of our closest relatives in the animal kingdom. 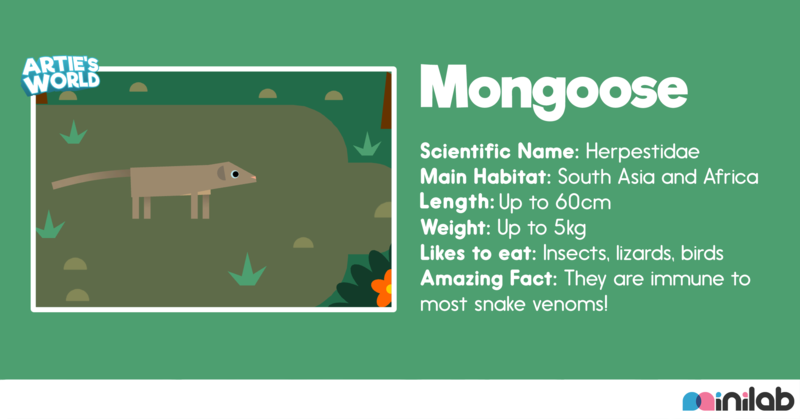 Mongooses have previously been introduced to new habitats to help control pests – but their destructive nature means they usually do more harm than good! 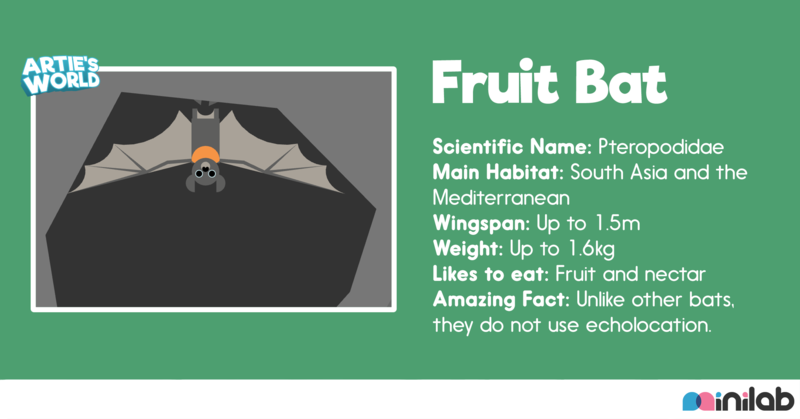 Fruit bats are also known as mega bats, as some can grow to huge sizes. 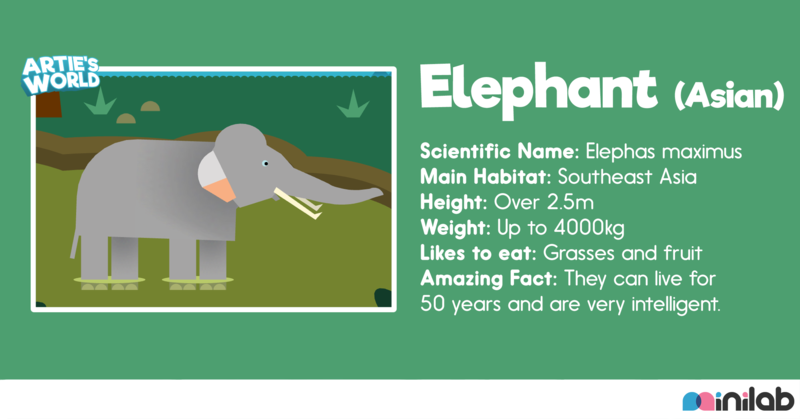 The elephant is currently the largest land-based mammal, although the African variety is slightly larger than the Asian. 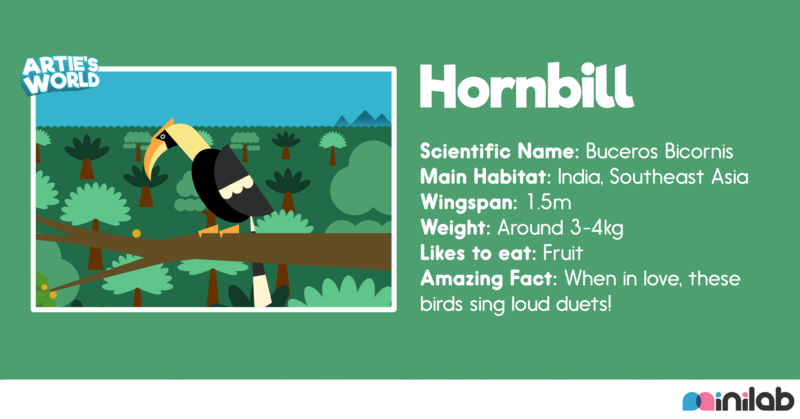 The unusual ‘casque’ on top of their beak is hollow, and serves no known purpose! Scientists think it may simply be to attract mates. 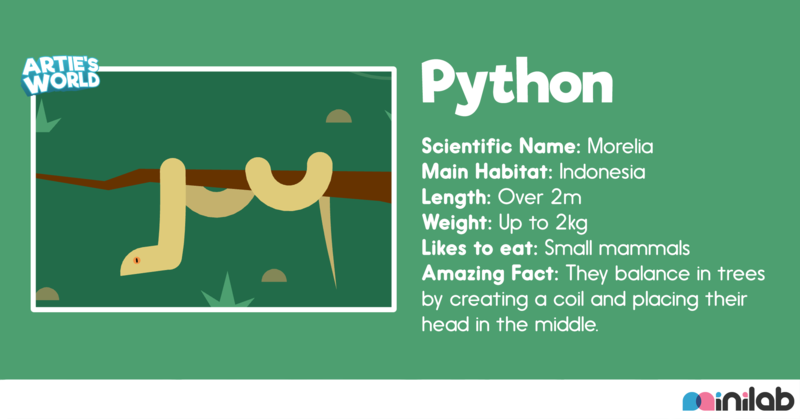 They may look scary, but many pythons have a relaxed nature and can be kept as pets. 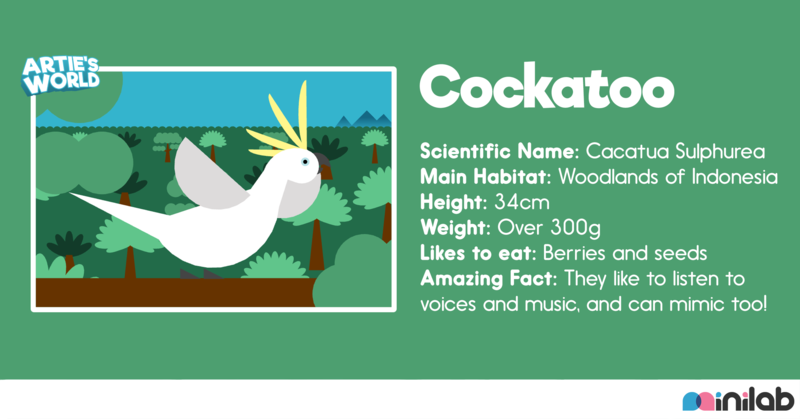 Cockatoos are a member of the parrot family, and have a similar screeching call that can be very noisy. 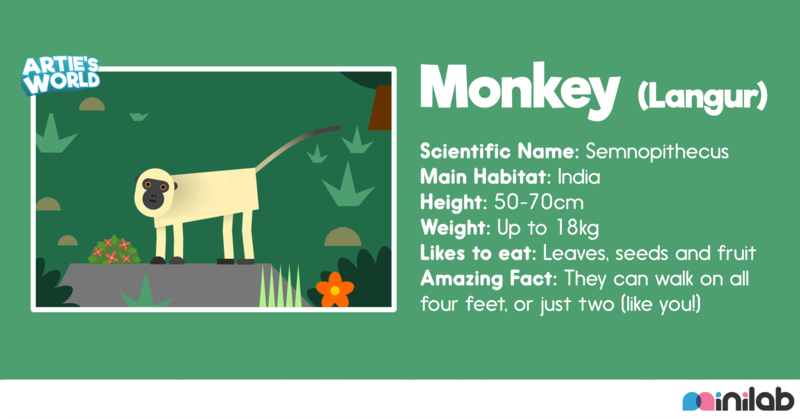 Depending on where Langur monkeys live, their tail curls into a different shape when they walk. For example, in Sri Lanka they may walk with an S-shaped tail, while in India their tail tips point towards their head.